We’ve come to our final bits of instruction. It’s bittersweet. This has been such an amazing adventure with you all. 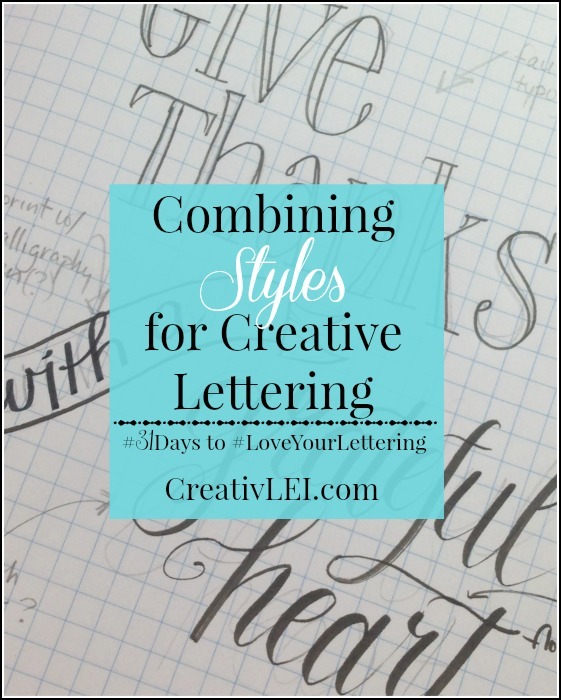 I’m so thankful that you’ve joined me as we’ve journeyed to improve our handwriting and really #LoveYourLettering! Together we’ve covered so much ground over the past month. 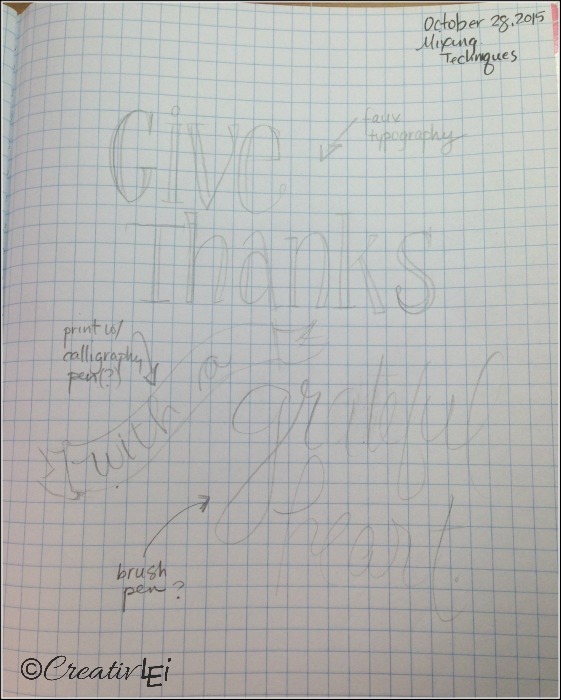 From the very basics of handwriting, to diving into the art side of creative lettering. You’ve used pencils, pens, and paints to create beauty… Even those of your who were certain your weren’t creative have shared lovely pages of your lettering! My friends, this is just the beginning! Today we tie a few techniques together as I share my process for creating pieces of lettering art. This post contains affiliate links, my full disclosure statement can be read here. A few months ago I shared a sample of quote and coloring pages. 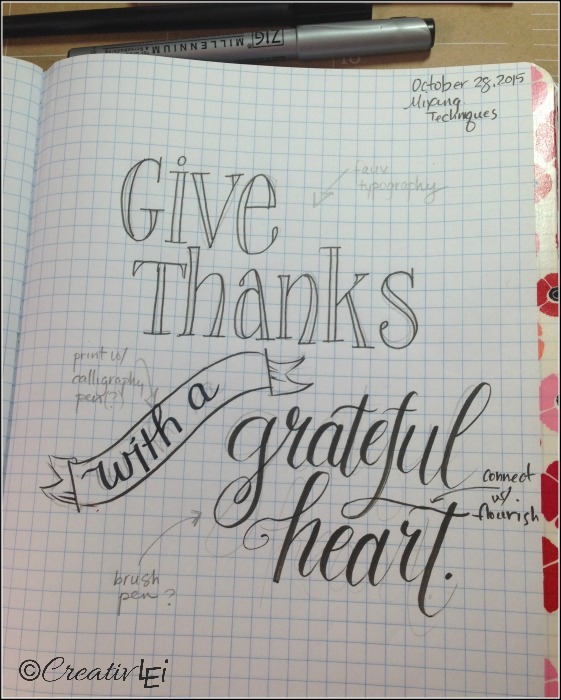 Each page is centered around hand lettering with the addition of drawings and doodles. YOU can create word art! First, start by sketching out the idea. Then outline with fine liner pen where needed and letter over with a brush pen. This gives a chance to mark up where you can add flourishes and examine where you may connect words. It also helps to show whether better spacing is needed. My next step would be to letter a clean draft in ink. This provides another chance to double check spacing and flourish options. Once I am satisfied with the overall design I will work on good quality paper. For this piece I used smooth Bristol paper from Strathmore. It is thick enough to work in paint or markers if I so choose. All those quotes you’ve been collecting? Now i the time to play with them. You can mix lettering styles. I like to combine brush lettering with bold typography, and use more ‘plain’ writing to tie them together. You can download a copy of this piece to color and frame. 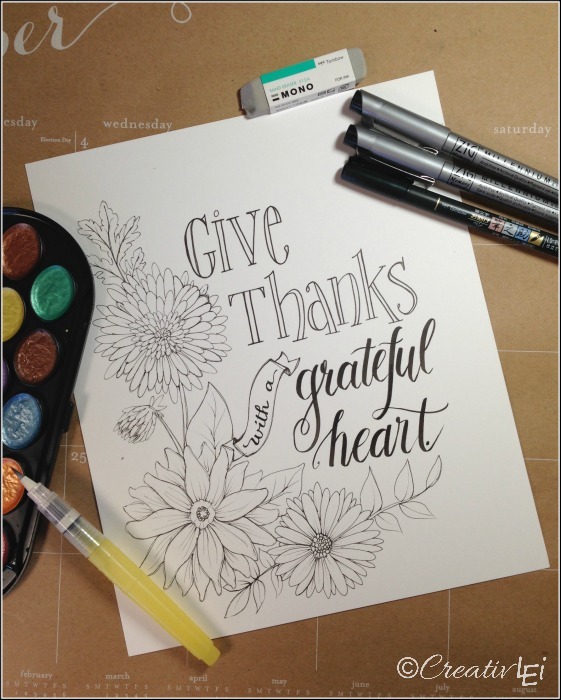 Print it on cardstock and your finished piece will be a lovely addition to an Autumn vignette. **An encrypted link to the download will be sent to your inbox. Entering your email address also gives you the opportunity to stay updated whenever I release new digital products. That’s our last new technique for this series! There are still three more posts coming with resource information that will help bring our #LoveYourLettering series to a close. I’m open for suggestions for our next series. I’ll still be on Periscope sharing, I don’t have a set schedule hammered out just yet. Our Periscope chat with a little bonus doodle instruction. 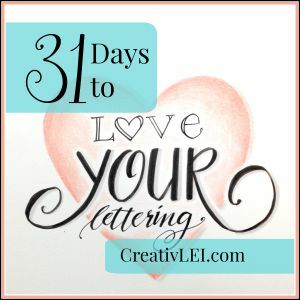 I’m so excited to see you stretch your creative muscles! 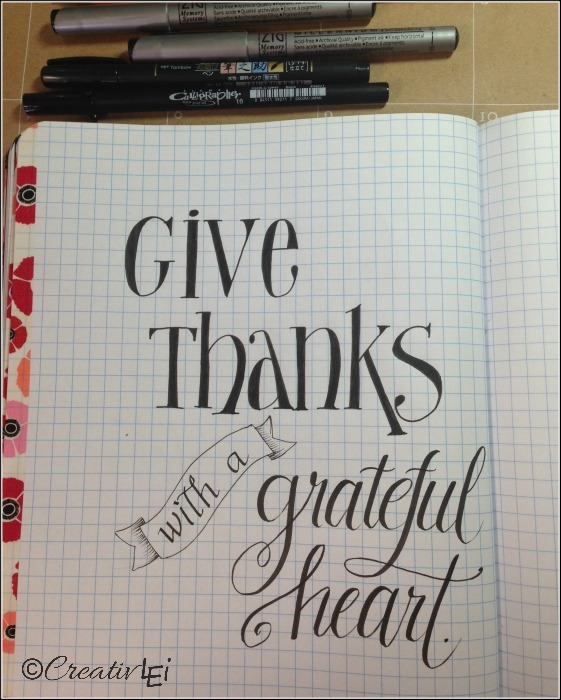 What an amazing job you’ve done with this series, I admire your blogging skills as well as your lettering! Thank you so much. I have really enjoyed getting to know you all a bit through this month and hope to continue to grow with you all. Thank you so much for sharing in the excitement!